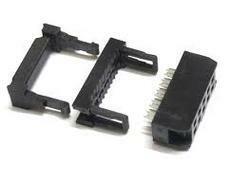 Wire to board connectors from Greenconn are of high quality and very competitive prices, with connector pitches ranged from 1.00 mm, 1.25 mm, 1.27 mm, 2.00 mm to 2.54 mm, 4.20 mm ( 0.039", 0.049", 0.050", 0.079", 0.100", 0.165" centerline), of single or double rows, with vertical (straight) or horizontal (right-angle) orientations in surface mount or through-hole (DIP) lead style. Established in the Year 1991 as distributor, importer, wholesaler, stocker and supplier of well acclaimed Industrial Electronic Components and Precision Electronic Component like CONNECTORS, INTEGRATED CIRDUITS, CAPACITORS, SWITCHES, FUSE & FUSE-HOLDERS, RESISTORS, MOV's, CRYSTALs, TRIMPOTS, LCD & LED DISPLAYS, RELAYS, DIODES, TRANSISTORS, SENSORS & MODULES, LEDs, FUSES, THERMISTORS, INDUCTORS, BUZZERS, LITHIIUM BATTERY, LITHIUM-ION & POLYMER BATTERY, SMD COMPONENTS and much more. We are able to supply superior quality to our customers across the country. Quality is our chief concern and hence we procure our range from established and trusted vendors from countries such as Hong Kong, Singapore, Taiwan and China. Further, we deliver our assortment by packaging them in optimum quality packaging material.